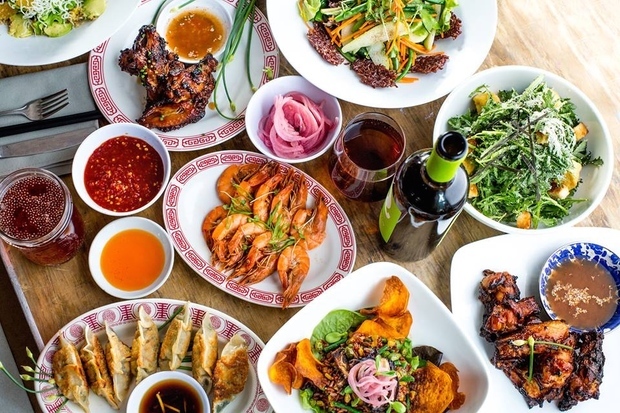 Hey Hey Canteen, the new casual Asian restaurant at 400 Fourth Ave. from the owner of 2 Duck Goose, will serve "vibrant" flavors inspired by Hong Kong. 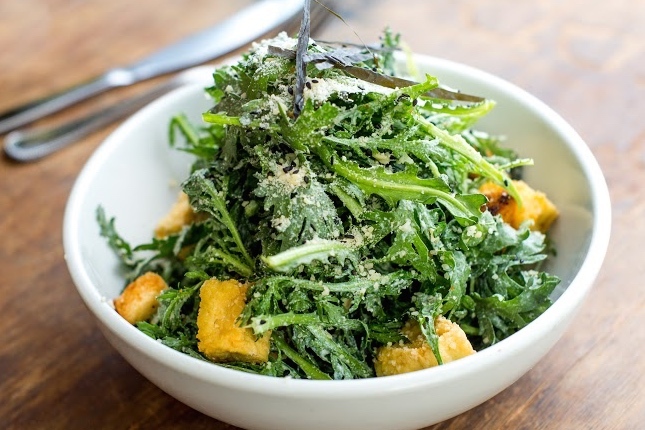 GOWANUS — A restaurant serving "vibrant" Asian flavors — including a Caesar salad made with chrysanthemum leaves — will open Wednesday night in the spot that was previously 2 Duck Goose. Owner Kay Ch'ien of 2 Duck Goose has relaunched the space at 400 Fourth Ave. (at Sixth Street) as Hey Hey Canteen. 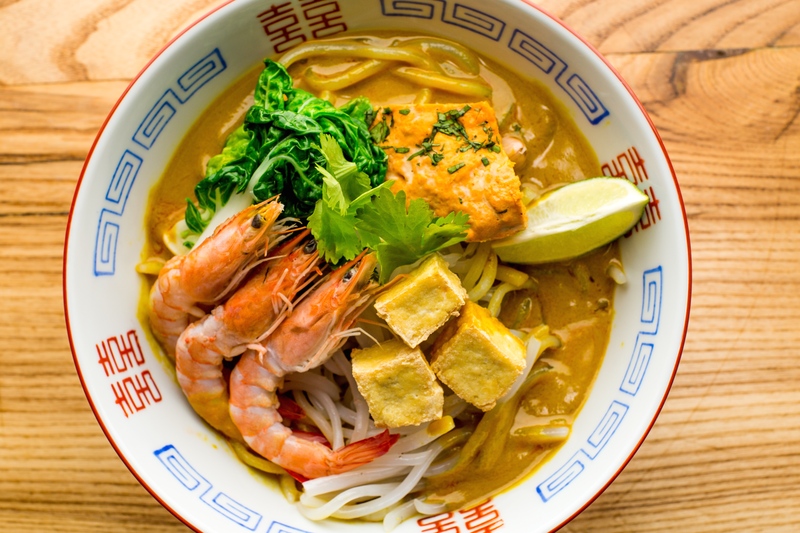 The new establishment is a more laid-back version of the former restaurant and will serve "contemporary Asian comfort food in a fast-casual setting," a spokeswoman said. 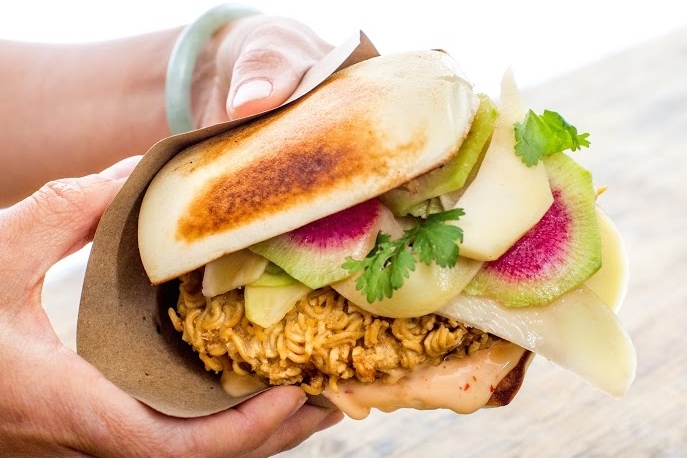 The menu includes sesame peanut noodles ($9.99), roast pork lo mein ($12.99) and a Caesar salad ($9.99) made with chrysanthemum leaves, crispy tofu, "almond parmesan," bao croutons, crispy seaweed and vegetarian Caesar dressing. Shareable dishes includes eggplant fries with shallot aioli ($6.99) and lemongrass chicken wings with tamarind-chili sauce ($6.99). Chicken, shrimp, pork, steak or crispy tofu can be added to any noodle dish or salad for an extra charge. Noodle dishes can be prepared gluten-free with zucchini noodles. 2 Duck Goose closed in November 2015 after a little more than a year in business.